As my first middle grade read of 2017 I was eager to choose something unique, something that was refreshing and new and would breath new life into the world of children's books. The Gauntlet by Karuna Riazi, which also happens to be my first read from Simon & Schusters new Salaam Reads imprint, was an absolute must. It checked off everything I was looking for in a book, and after hearing all the pre-release praise from some of my favourite authors, I couldn't wait to instantly dive into it. "Before she could get an answer, the grave beneath her feet began to open right up, swallowing her whole." 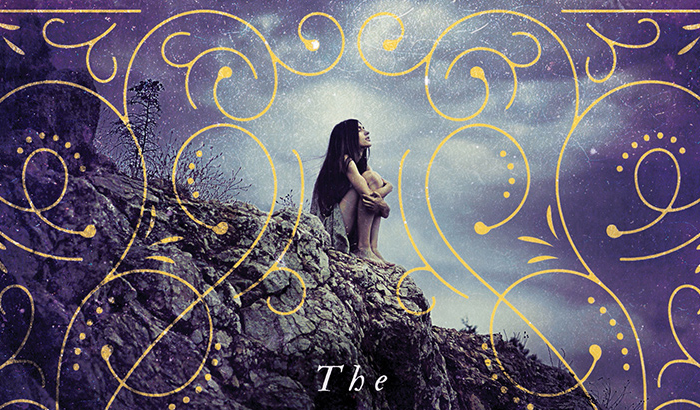 Karuna Riazi's The Gauntlet was a magical journey I didn't want to end! 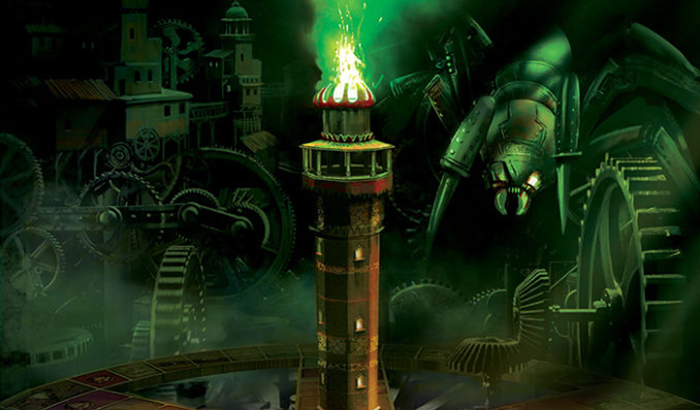 Featuring a stunning trio of highly relatable characters, Karuna takes us on a sci-fi and steampunk adventure that involves a mechanical board game. In a race against time, the trio finds themselves mysteriously trapped in said board game and must find a way to escape. By solving puzzles and encountering some unsavory creatures, they must also find a way to defeat the game's diabolical creator and ultimately destroy the game in it's entirety. 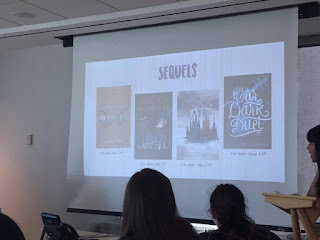 The Jumanji-esque debut by Karuna Riazi was an incredible thrill ride, filled with diverse characters, settings, and proved to be exceptionally addicting. 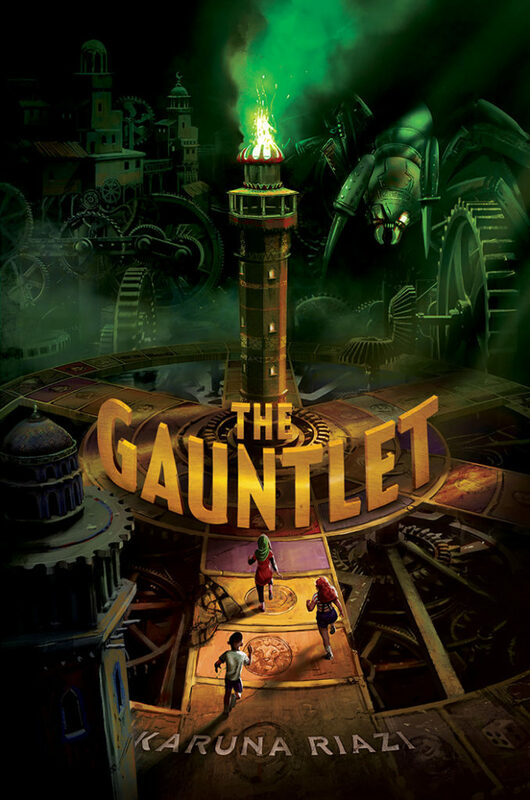 I highly recommend The Gauntlet for younger readers looking for a new read to obsess over. I can only hope someone will option this for a film or tv series - it would be incredible! 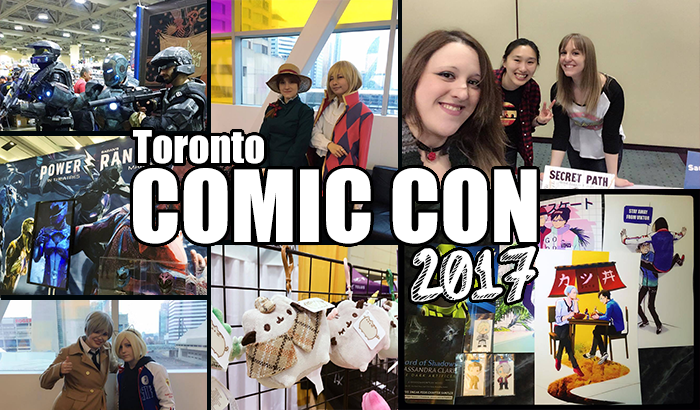 Prior to attending last year's Toronto Comic Con, it had been a few years since my previous visit. 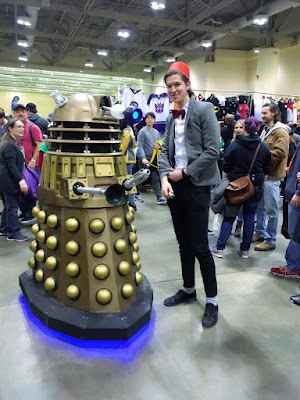 It hadn't appealed to me - I was always more of a Fan Expo and Anime North con goer - but after last year's experience, I chose to attend once again. Finding the ticketing area this year proved to be significantly easier, considering it was in the same spot as last year, and that this time volunteers were actually directing visitors to the right direction. This year I had opted to purchase advance tickets for Saturday, making the pick-up a breeze. We were in and out of the ticketing area in under a minute, which left us a lot more time to browse through the program. Upon leaving the ticketing area, I heard someone call out my name. 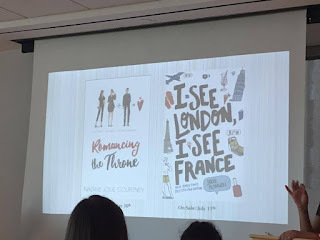 It turned out to be one of my favorite bookish duos, Jackie and Andrea, from Simon & Schuster Canada. 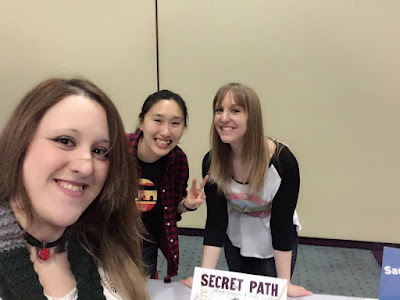 They had their own table for the Saturday afternoon, handing out chapter samplers for Lord of Shadows by Cassandra Clare. Of course, I snagged one immediately! 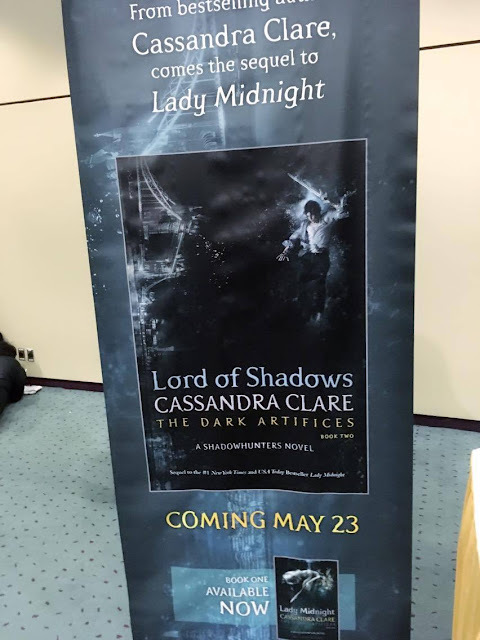 That cover is gorgeous and I'm so sooooooooooo excited for Lord of Shadows!! After snapping a quick pic with Jackie and Andrea, the fiance and I made our way into the marketplace, which at the time was ridiculously over crowded. 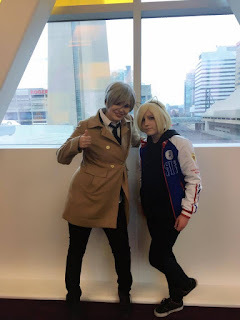 Instead, we took the opportunity to grab a quick bite to eat outside of the convention centre, and came back an hour later, which proved to be quite fruitful crowd-wise. It's incredible what an hour will do to change the flow of people in and out of an area. 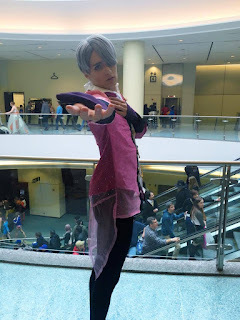 When we made our way in, I mainly had my eyes set on one kind of merch - Yuri on Ice! 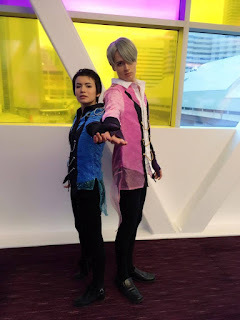 After recently binge-watching the show, I've become obsessed with everything Yuri on Ice. 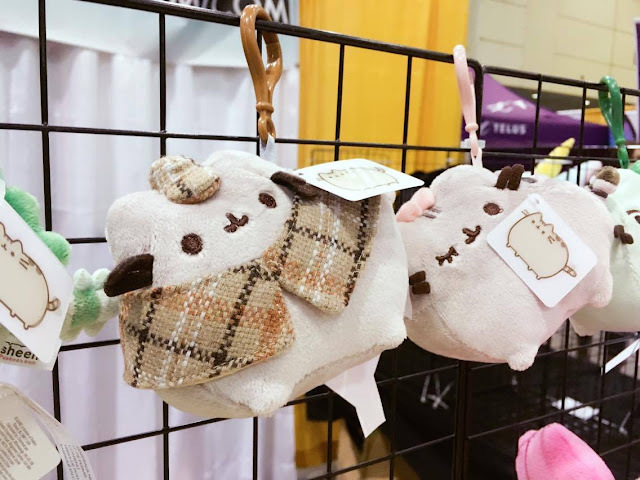 I came across some excellent artists in Artist's Alley, including Ravefirell (http://ravefirell.tictail.com/#_=_) and Knightmares and Daydreams (https://www.etsy.com/ca/shop/KnightmaresDaydreams). 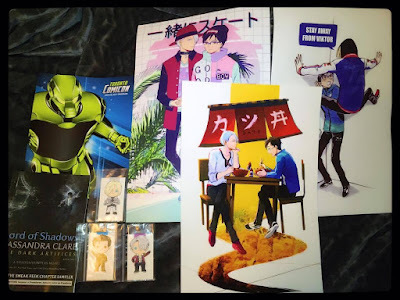 From the two, I purchased 3 incredible Yuri on Ice prints (featuring Viktor, Yuri and Yurio), and 3 magnetic bookmarks featuring the trio, as well. 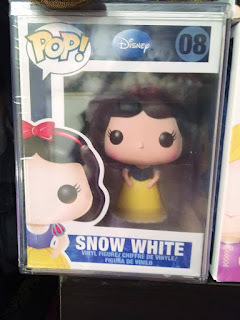 As far as merchandise purchases went, that was the sum of my purchases, excluding my highly-coveted Snow White Funko POP, which the fiance spotted and pointed out immediately. 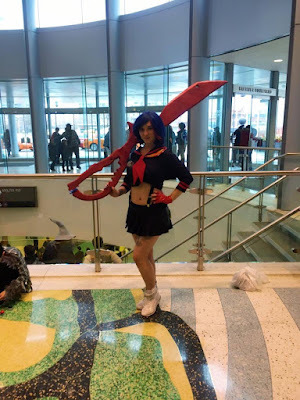 Following our visit to Artist's Alley, we made our way through the show floor, choosing not to attend any panels this year and opting for something a little more relaxed. 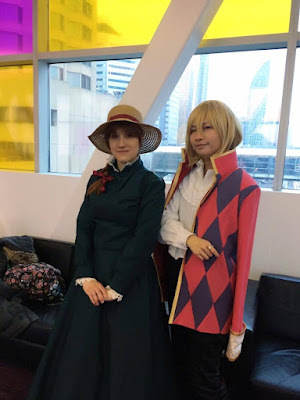 I spent time chatting with vendors, fellow con-goers, and snapped a few shots of some incredible costumes. 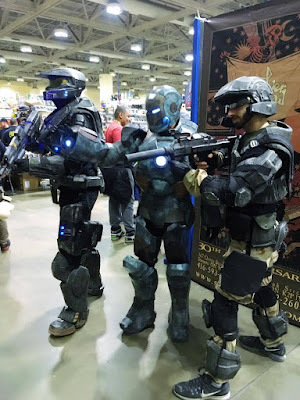 Overall, my visit to comic con this year was very satisfying and went fairly smoothly. I certainly plan on attending next year's! 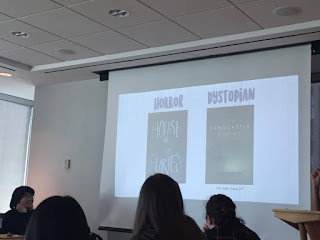 It's been a long time since I've read any books, especially in the YA genre, that focused strongly on necromancy. In fact, I feel the last series I read was likely the Necromancer series by Lish McBride, which I absolutely loved! So when I learned about The Bone Witch by Rin Chupeco, I was eager to learn more about Tea, her world, and see where her powers would lead her. "I don't feel the pain, and I don't bleed. Another perk of being dead." 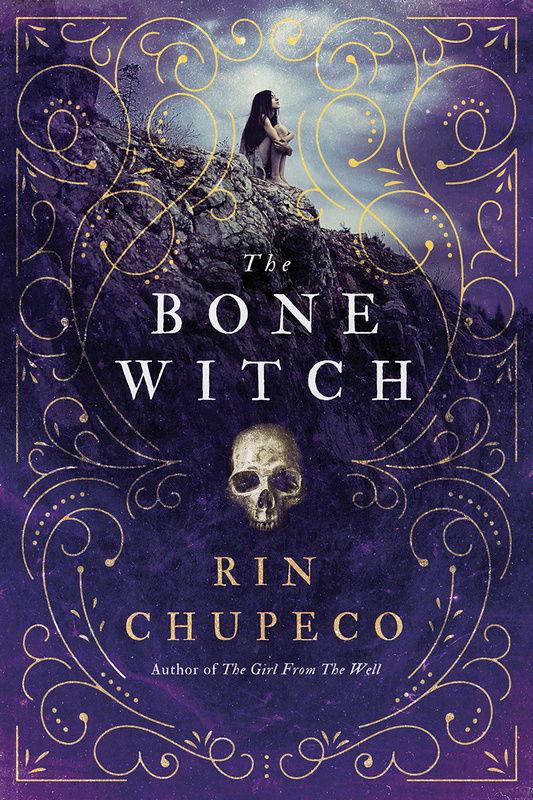 The Bone Witch by Rin Chupeco is most certainly not an action packed thriller. I'm not relaying that the title is severely lacking for not following that path, but I am conveying that readers should be prepared for a thick story line that continuously builds overtime without any spur-of-the-moment twists and turns. It is, in fact, one of the reasons why I absolutely loved this book. Reading a fantasy title that sometimes relies too strongly on action, romantic interests, and super-villains can be tiresome, but The Bone Witch's directive to focus solely on Tea, her character building, and the inevitable battle of wits that would come, was incredible. The Bone Witch was wonderfully detailed and well-written, and it completely captivated me. I found myself desperate to binge-read the title, and can say that Tea's tale was one that was unique and certainly one I hope to dive into once again. The Bone Witch was an enthralling and captivating read that left me wholesomely satisfied. 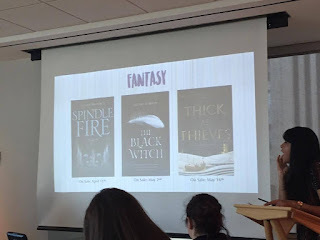 Readers with a love for fantasy titles that aren't overwhelmed by suspense and action, are highly recommended the title! 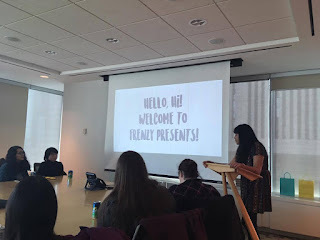 On February 26th I was invited, along with a large gathering of other fellow book bloggers, to HarperCollins Canada HQ for a fun bookish event I continue to look forward to year after year - The HCCFrenzy Frenzy Presents preview! Each time this event comes to pass, I always find myself with a notebook filled with titles I can't wait to read, and I always find myself wondering how much taller my TBR pile will grow before it completely topples over. 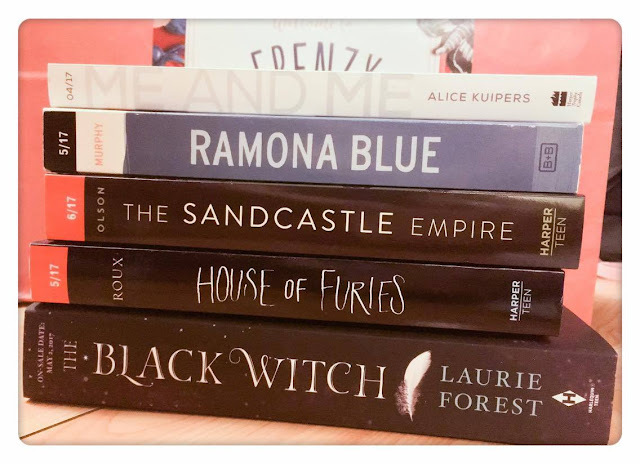 With that said, after the incredible event hosted by HCCFrenzy, my pile stands taller and I cannot wait to devour each of the titles featured in the spring line up. As Suman, our wonderful event MC, introduced each of the titles, I found myself continuously jotting down releases dates and notes in my trusty notebook, each title making me more excited than the last. 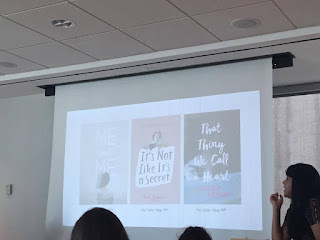 There were several titles Suman introduced that stood out to me the most, and I cannot wait to share with you that very list! 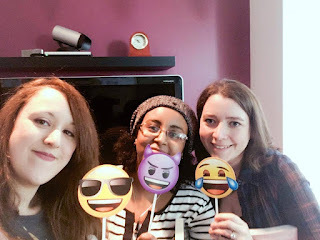 Following Suman's presentation, we were given the opportunity to socialize among one another and enjoy some fun photo props and an assortment of goodies! 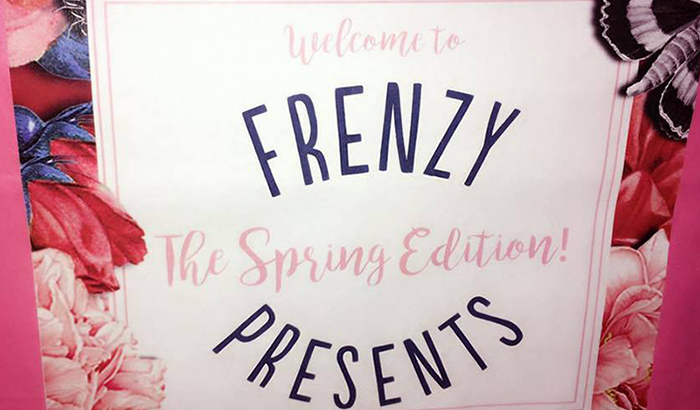 Overall, the spring edition of Frenzy Presents was absolutely perfect! It was highly informative and filled with so many exciting upcoming titles. What titles are you most looking forward to? Be sure to let me know in the comment section below. 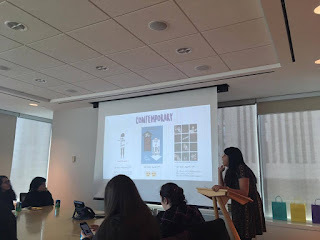 I would like to extend a huge thank you to HarperCollins Canada and the HCCFrenzy team for putting together another incredible event and for inviting me! 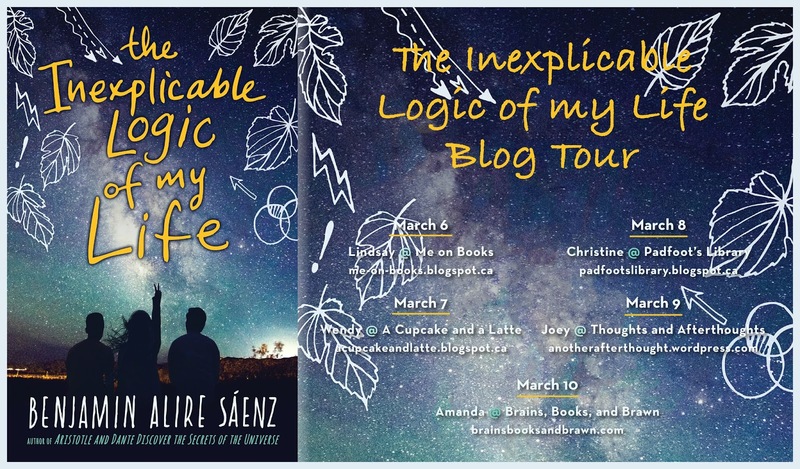 When I was first approached by Raincoast Books to join in on the blog tour for The Inexplicable Logic of My Life, I leaped at the opportunity to not only read it but to also share my love for Benjamin Alire Saenz's lyrical writing! Although I have yet to review it (I will, I promise) I absolutely adored Aristotle and Dante Discover the Secrets of the Universe. That book rocked my world. It shook me to the very core, had me falling irrevocably in love with it's characters, and has proven to be a strong standing LGBT title in the book community. I still strongly feel it's a book not to be missed, and I'm happy to say that Benjamin's latest is another one to be adding to your lists! 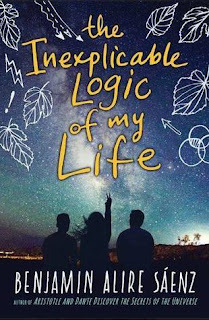 The Inexplicable Logic of my Life is about tragedy, family, friendship, and self discovery. It follows the voice of Sal, who begins to find a lot of anxiety and aggression to the impending change in his horizon. With his friends thinking about their future and escaping from their home town, Sal finds himself being hit by reality one heart-wrenching moment at a time. The Inexplicable Logic of My Life was, without a doubt, very different from Aristotle and Dante. It was a far more emotional title that focuses on how cruel but beautiful life can truly be. It's about discovering who you are and shaping the person you hope to someday become. It was positively beautiful! Each page was a step into the future Sal wanted for himself. And although as painful as it may have been, it was a beautiful experience I cannot wait to relish in once more. I loved every twist and turn in Sal's life and look forward to seeing what everyone else thinks of Benjamin's latest! Contemporary readers: this is the book for you! Sal's story is one readers of all ages can identify with and it's beautiful and powerful writing is certain to completely hook you in. I stood there waiting. And, you know, I got this weird feeling that things weren’t going to be the same. Sam called feelings like that premonitions. She said we shouldn’t trust them. She consulted a palm reader when we were in the ninth grade and became an instant cynic. Still, that feeling rattled me because I wanted things to stay the same—I liked my life just fine. If things could only always be like they were now. If only. And, you know, I didn’t like having this little conversation with myself—and I wouldn’t have been having it if Sam had just had a sense of time. I knew what she was up to. Shoes. Sam could never decide on the shoes. And, since it was the first day of school, it really mattered. Sam. Sam and her relationship with shoes. Finally, she came out of the house as I was texting Fito. His dramas were different than Sam’s. I’d never had to live in the kind of chaos Fito endured every day of his life, but I thought he was doing pretty well for himself. “Hi,” Sam said as she finally walked out of her house. She was oblivious to the fact that I’d been standing there waiting. She was wearing a blue dress. Her backpack matched her dress, and her earrings dangled in the soft breeze. And her shoes? Sandals. Sandals? I waited all this time for a pair of sandals she bought at Target? “Get over it. College! Life, baby!” She made a fist and held it up high in the air. We both grinned at each other. And then we were on our way. To begin living. 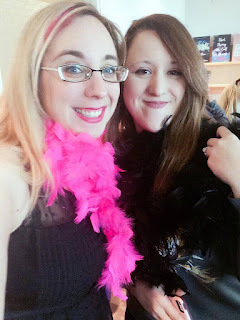 I want to extend a big thank you to Raincoast Books for organzing this incredible blog tour and for extending an invite. Be sure to stay tuned for more reviews and excerpts as part of the blog tour! 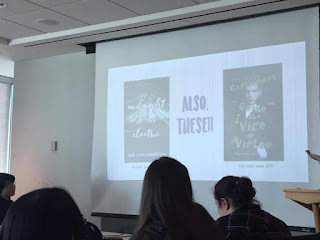 I have absolutely adored several of Susin Nielsen's titles in the past, most of which include the likes of The Reluctant Journal of Henry K. Larsen , Dear George Clooney: Please Marry My Mom, and We Are All Made of Molecules. Each of those titles had something new to offer to the book word. If it wasn't for it's unique premise, or snarky characters, it was for it's meaningful words and messages to it's readers. 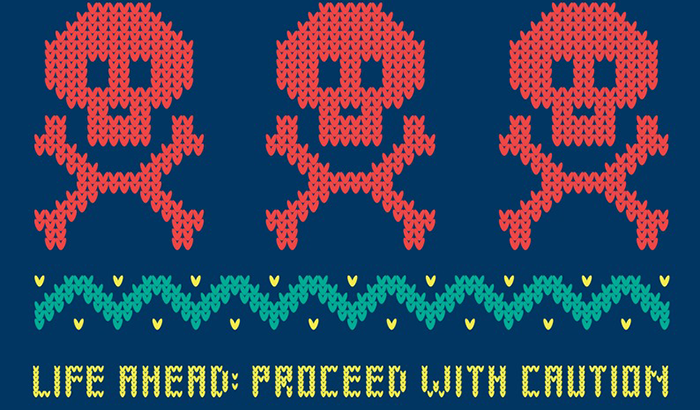 When it came to Optimists Die First, I was positive I'd enjoy it, too. 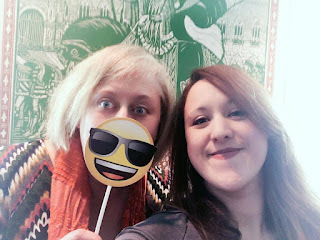 I felt that it's synopsis portrayed a character I desperately needed to know, and I couldn't wait to eagerly dive into Susin's latest and discover, for myself, the life of Petula De Wilde. Optimists Die First, regrettably, was not my cup of tea. Although I had been so eager to learn more about Petula and her aversion to being out in the world, I felt that there was so much not only about her, but her family and world that was missing. I had expected to see more about her struggle and crippling anxiety, but I instead found a story that I've read many times before. And although Optimists Die First was exceptionally well written, I felt that it, sadly, was not enough to keep me completely invested. 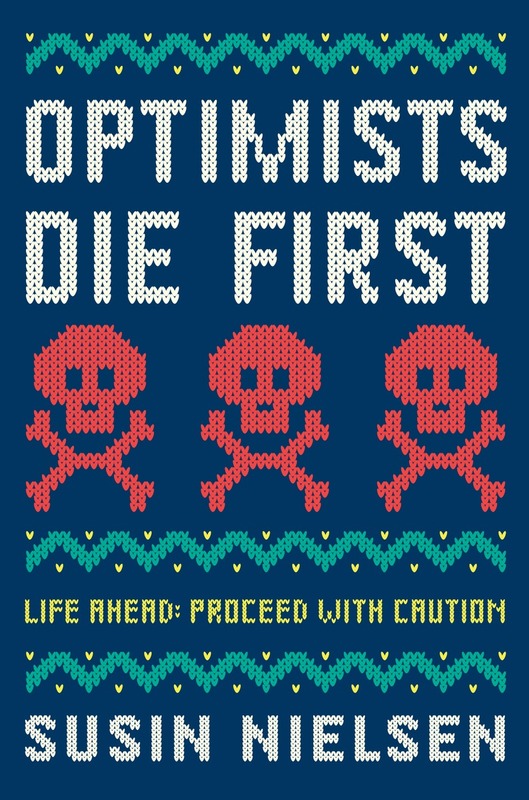 Even so, the premise behind Optimists Die First was promising and the tale of Petula was intriguing, however I do still wish there was much more. Fans of Susin Nielsen's past titles are highly encouraged to give Optimists Die First a read, however if you're a reader who is looking for a title that strongly delves into mental illness, then this, sadly, is not the title for you. It's the third month of the year and my TBR pile is continuously growing. 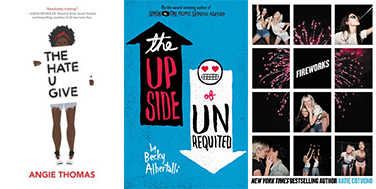 However, in addition to that, I positively cannot wait to devour all these exciting new titles, some of which are coming to bookshelves this month! 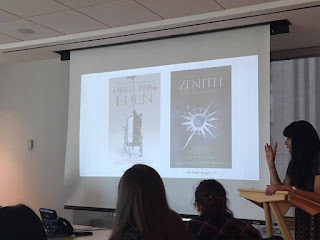 Fans of Laini Taylor have a new title coming in Strange the Dreamer (which sounds fantastic) and I'm also incredibly excited for The Bone Witch (expect a review this month), The Inexplicable Logic of my Life (I have a scheduled blog tour coming next week) and much, MUCH more. What are you excited to read this month? 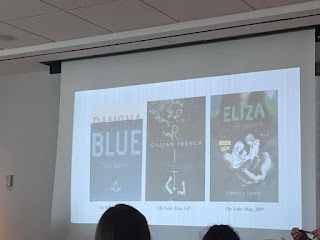 Be sure to stay tuned for my upcoming reviews AND a recap post on an exciting spring books preview event I attended, hosted by the wonderful ladies behind HCCFrenzy at HarperCollins Canada. 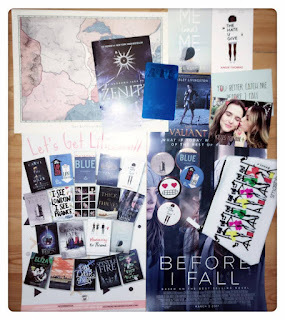 Giveaway is for one book from the above March 2017 releases to be awarded to one reader. Open to anyone who can receive shipments from The Book Depository. I am not responsible for lost, stolen, or damaged books received. Please fill in entries accordingly for a valid entry. Good luck!